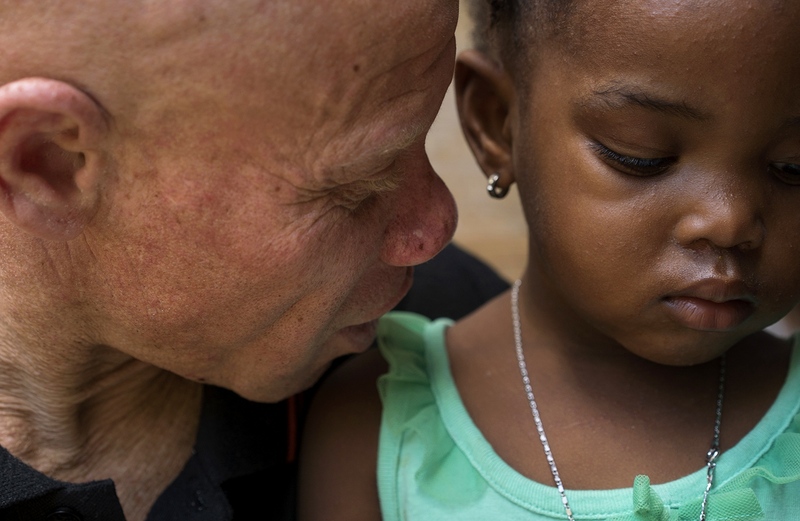 In a country where 90% of the population is black, Haitians with albinism are an ostracized minority. Constantly seen as different, they are forced to find unique paths towards their true selves. 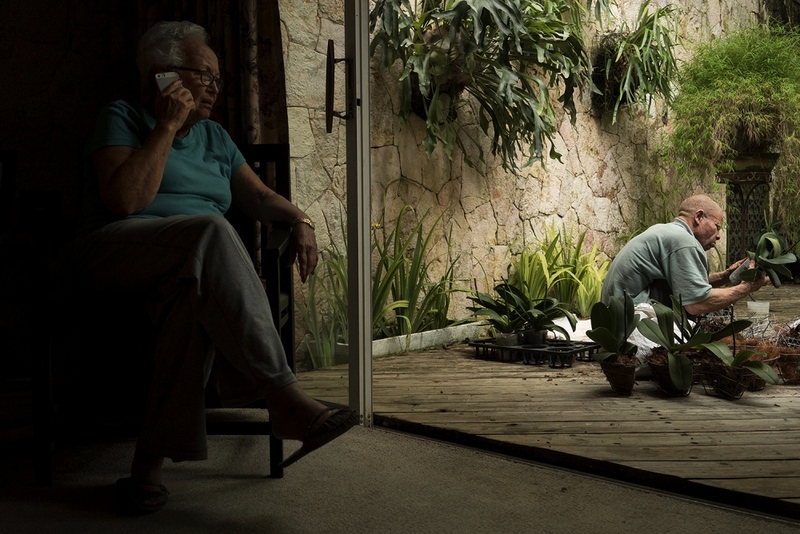 Venel, a Haitian albino, works with great fidelity as a housekeeper and gardener for my grandmother. He and his twin brother, Luinor, live between two worlds, between black and white, rich and poor. Their strong bond, forged on the fringes of Haitian society, results from a feeling of rejection in their youth. Yet today, Venel seems to have reached a deeper layer of acceptance. As I traveled back to Haiti, searching for a sense of belonging and attachment to my roots, I came across the story of a man seeking a similar path: an understanding of identity. 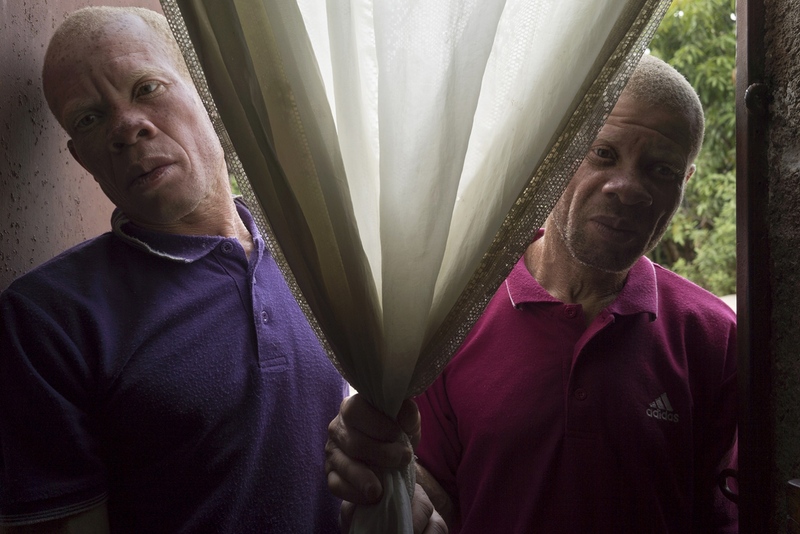 Albino twins, Venel (right) and Luinor, share a special bond forged in the fringes of Haitian society. because we were a different color. 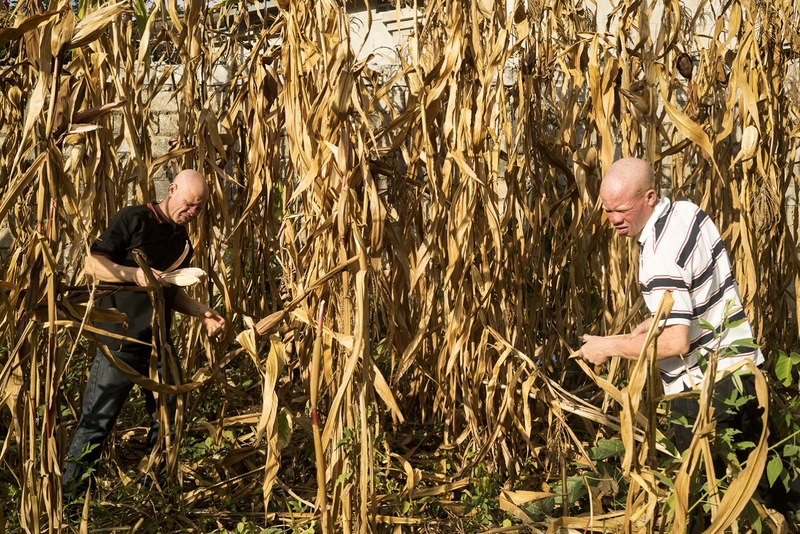 Venel lends a hand to his brother as he collects corn to bring back to his boss' home. They are the only two albinos in a family of seven siblings. The two brothers maintain a close relationship nurtured by a feeling of rejection in their youth. Venel works for my grandmother, Myrto Baussan, with great fidelity. 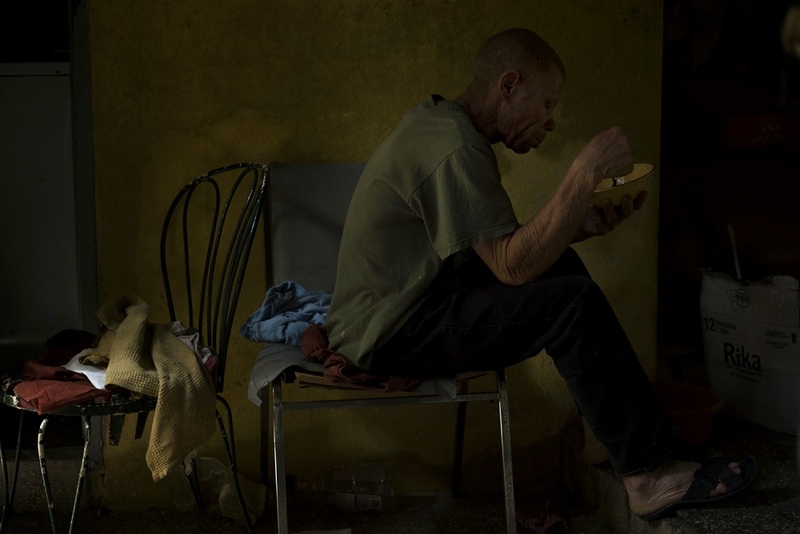 Here, in the back of her house, he savors a lunch of rice and beans that Myrto’s maid, Emanita, prepared for them. 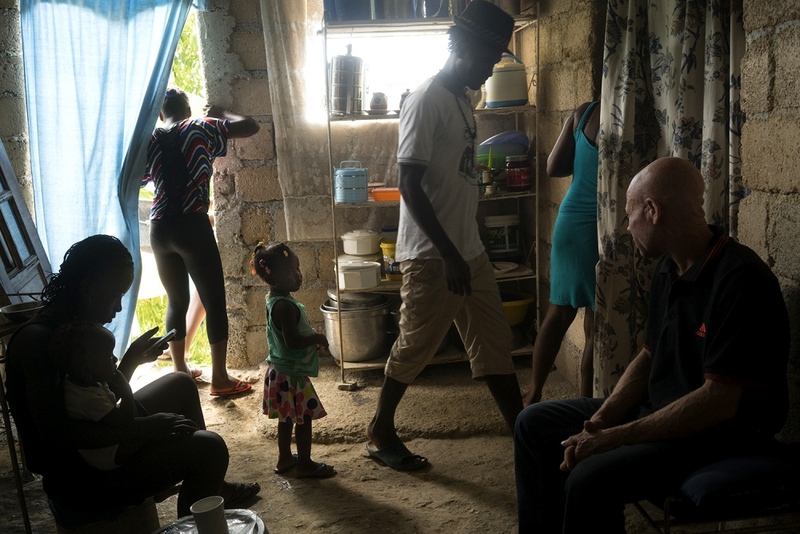 Nicknamed Blanc by family and friends, children do not question Venel’s appearance. Venel feels at ease around them and gives them affection. Some in his community call him albino in a derogatory manner, but those who are more empathetic understand he has no control over his condition. On Thursdays, his day off, Venel visits his siblings higher up on the mountain. Helping his family whenever possible, Venel offers a few gourdes (Haitian currency) when his savings allow him the privilege. he loved - but we was never proud of us. 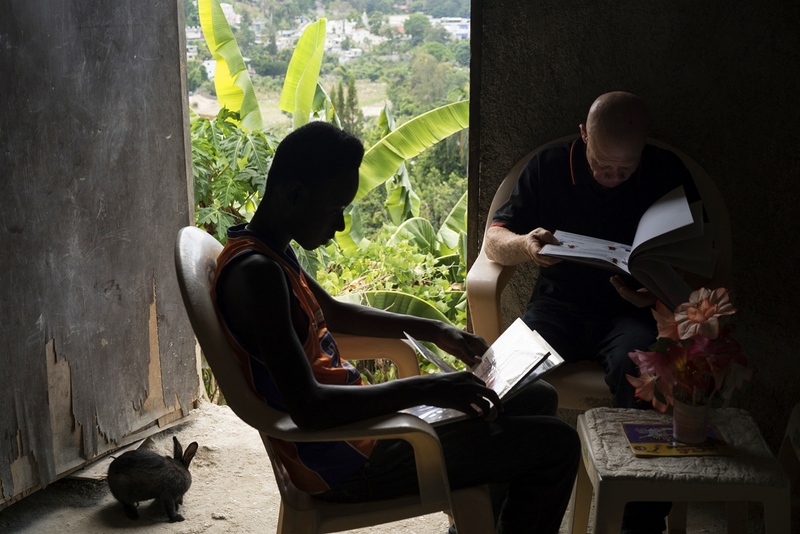 When his family began to suffer financially, Venel left his home in Tiburon, a community in the Southern part of Haiti, to look for work in the city. He worked at several homes before starting at my grandmother’s in 2010. 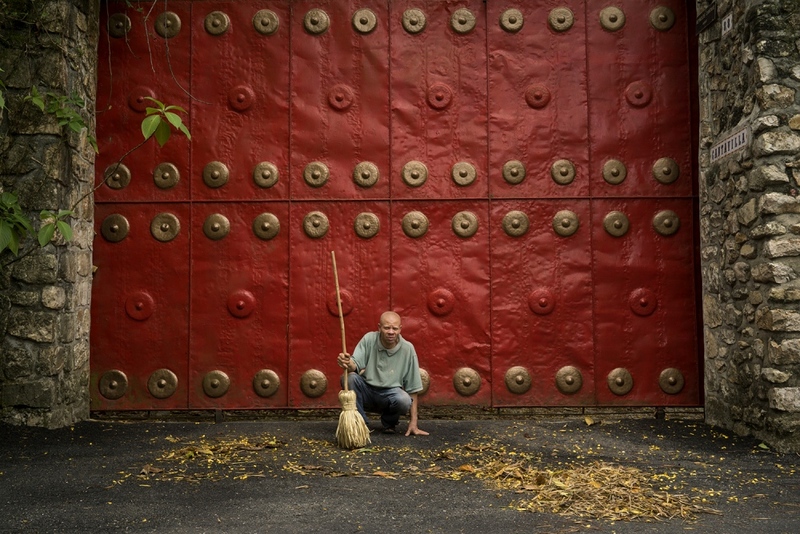 Each day, Venel polishes my grandmother’s car beneath a stand of old bamboo. to support us and help us move forward. Due to a lack of money, Venel’s parents were not able to send all of their seven children to school. Venel and his twin brother are the only two in the family who did not receive an education. if I had created my own body. 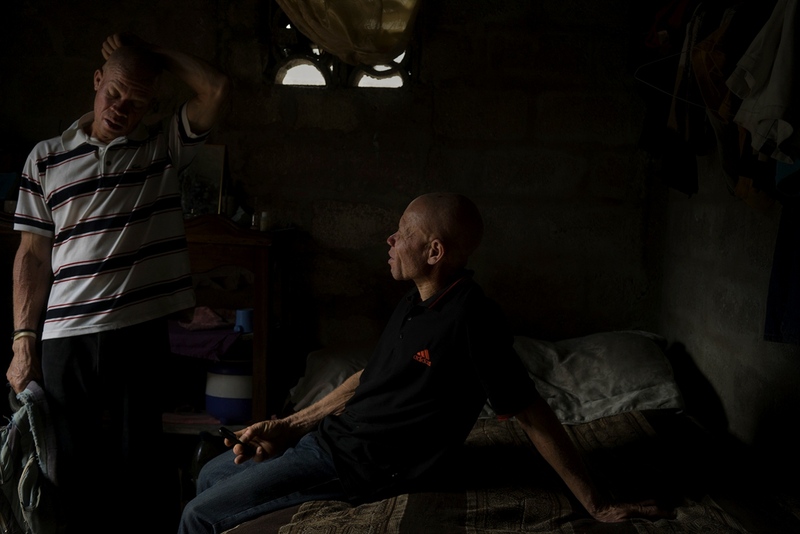 In spite of his albinism, Venel demonstrates a strong sense of belonging and identity. and I accept his creation.